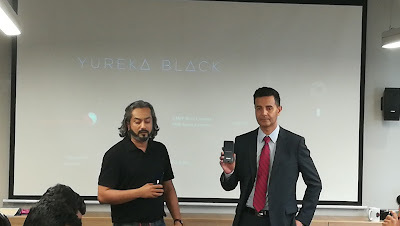 Micromax Yu Yureka Black Is Launched Today. But not going with the www.amazon.in this time but it will be available for sale on www.flipkart.com this time. It comes with 5inch Full High Definition Display with Gorilla Glass 3 on its top of the screen. It has Q.Snapdragon 430 OctaCore 1.5gHz powerful processor inbuilt. It packs 3000mAh Lithium Polymer Battery. It equips a 13mp primary camera and 8mp selfie camera in it. It also has special features like smart screen shot and gesture modes. It has 4gb of Ram with 32gb of internal storage with 64gb of expandable storage feature via a microSD Slot. As it's a hybrid SIM slot supported device so,, that may be placed in the hybrid SIM slot. It also has a support with the 360degree fingerprint sensor in it. It will be on sale on www.flipkart.com from 6th June, 2017. It is priced at Rs.8,999.00.